Did you know that the Mayor of Vancouver has a blog? 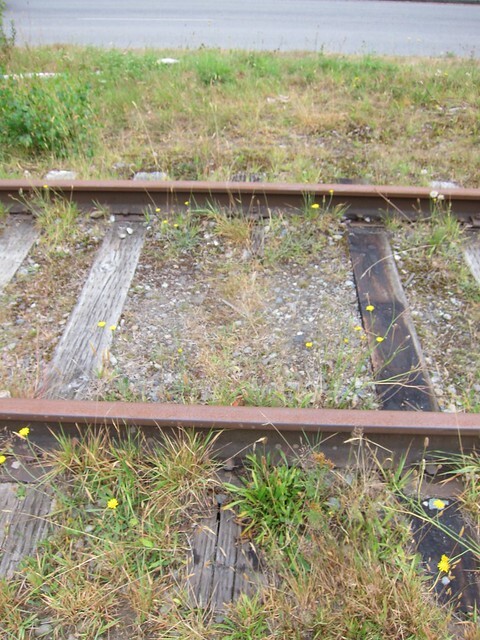 The latest entry is about the ongoing tussle with the Canadian Pacific Railway over the future of the Arbutus Corridor. Well this post is simply to set the record straight. 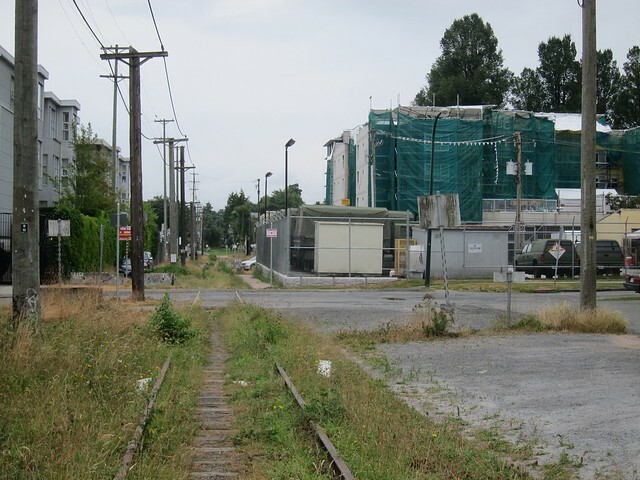 CPR are not about to run trains – freight or passenger – down the Arbutus Line. Freight trains have not run since service to the Molson brewery ended. 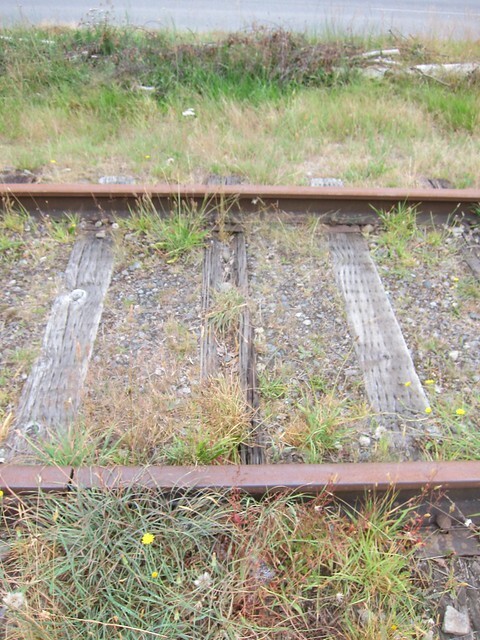 In the intervening years the track has not been maintained, although CP have had to maintain the crossings, as they have not legally abandoned the line. 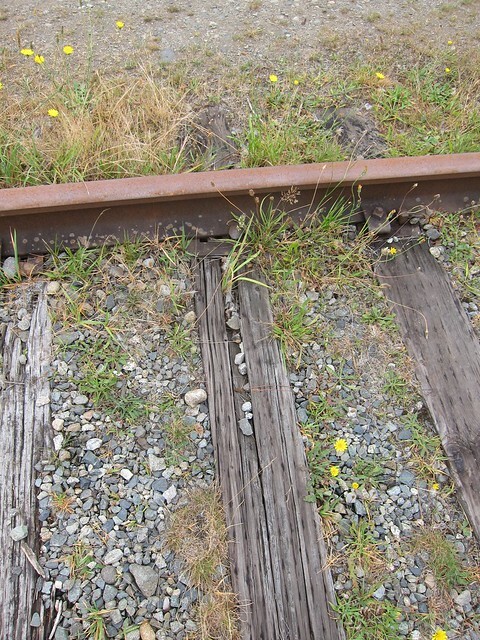 So the track in its current state could not safely support any rail traffic. It is often difficult to actually see the tracks, so overgrown with brambles and bush have they become. 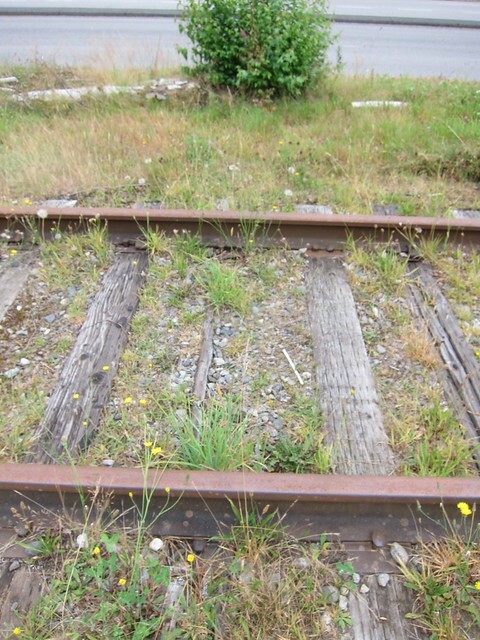 In sections where the track is visible, one can see missing and rotten ties, missing spikes and spike plates and also places where the supporting ballast has washed away. These pictures were taken today between King Edward and Broadway. I have many others taken over the years on other sections. No-one is going to run a freight train along here any time soon. The cost would be astronomical and there are no customers. CP are simply sabre rattling in an ongoing real estate negotiation with the City. The revelations are that the City has made an offer of “fair market value” based on an independent assessment – and that CP has not responded. CP had hoped to make a financial killing by selling the land for development. The City won a case that went to the Supreme Court that they have the right to determine that the line remain a transportation corridor. Obviously the value as a route for a bike/pedestrian route – and potential LRT line – is lot lower than the price it might achieve if there were to be little houses where the track rots now. 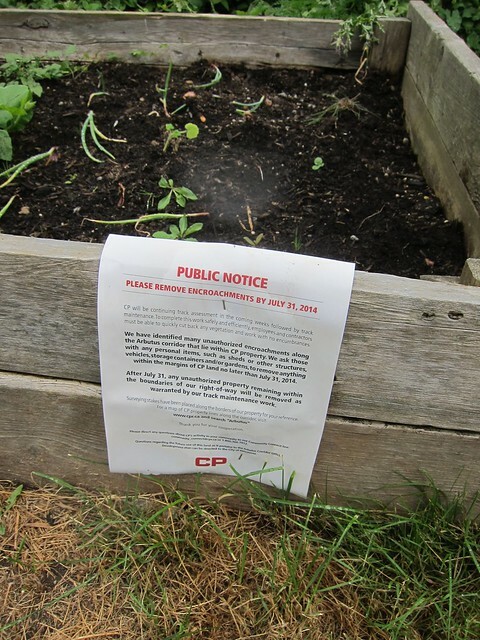 But since the City has determined that is not going to happen, the CP letters going to people along the route about removing their gardens are simply a bargaining tactic – and not a very smart one. CP’s Public Relations people have to be grinding their teeth. 1. See an exchange of letters between David Eby and a CP staffer from the Courier blog.